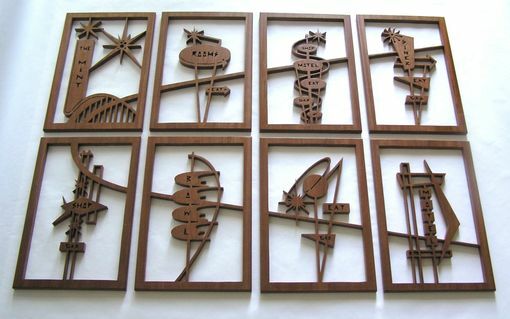 Mahogany 8-Panel Mid-Century Modern Fretwork Collage "Googie Signs 1"
This 8-panel fretwork collage is made of mahogany. 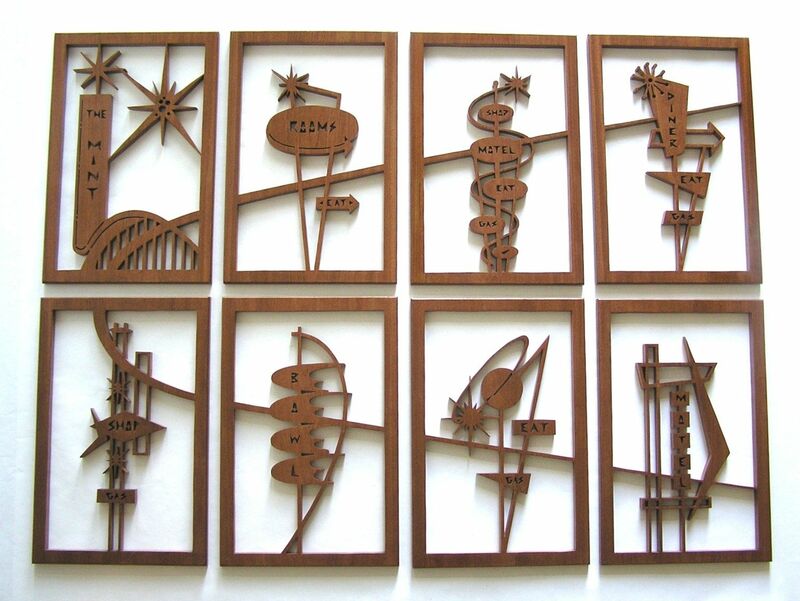 Each piece measures 9 1/2''x14 1/2''. 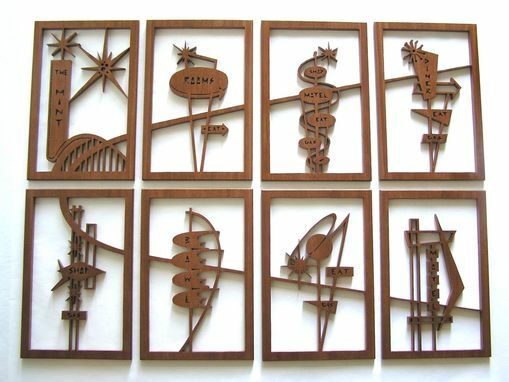 The designs on the fretworks were iconic signs back in the 1950s. The wood pieces were painted in clear coat for lasting protection from elements. Each fretwork has a bracket attached on the back for easy hanging on your wall. The grain and wood color varies from panel to panel.